My vote for the worst monster in all of AD&D goes to the one they saved for next-to-last in Monster Manual II. Somehow it survived into 2nd edition. Silly Monster Chassis. The Zorbo is a ferocious, flesh-eating .... koala bear. Now Aussies doubtless know that the koala is a nasty little nipper, but for the rest of us, it's not a creature that exudes any kind of menace. 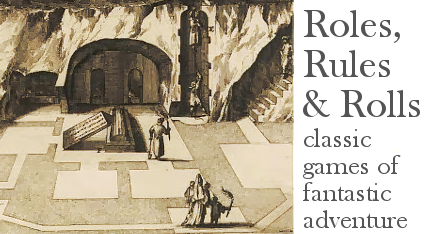 Not scary enough for weird fantasy, not medieval enough for medieval fantasy. Stupid Ability. The Zorbo's main ability is the ability to absorb the toughness of its surroundings. Yes, its AC and damage get better when it stands on stone, as opposed to say, earth or grass. This leads to the interesting tactical challenge of defeating it by convincing it to stand on a feather mattress. I'm not sure what is dumber, too: absorbing the hardness of stone without looking any different, or turning into a granite-skinned koala. Player-Hating Ability. Another characteristic of many bad monsters is that they serve the whim of sadistic DMs with a tacked-on ability that screws players over. The zorbo is no different; his absorption extends to opponents and his touch, unoriginally, makes their armor dry up and blow away. For the rare zorbo who treads on soft earth by choice, doing this might actually improve his AC, but the real reason is to throw the exact same "gotcha!" at players who know to run from a rust monster. None Of It Makes Sense. As far as unrelated concepts go, "a koala bear" and "absorption of Mohs Scale rating" are definitely in the big leagues of non-sequitur-dom. Stupid Name. Top it all off with the name Zorbo. For lo, he is ab-Zorbent. Not Even Flamboyantly Bad. Like great trash cinema, the flamboyantly bad monsters celebrated in fandom - the flumph, tirapheg, flail snail and so forth - earn their kudos by showing a crazy, unbounded creativity at the divergent step, setting up for a more spectactular failure at the "what does it all mean" convergent step. None of this applies to the zorbo. So, little fella, are you worth improving? I'm not sure, but next post I'm going to try. Aieee! Zorbo! I had totally forgotten about that thing. Because it was so lame I never even considered using it. Yes, it is terrible. 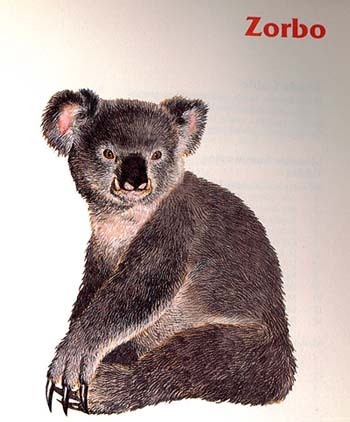 If you keep the basic koala bear concept, I say it's completely irredeemable. It almost sounds like you're saying the flumph and flail snail are stupid. Rest assured, even to those of us in Australia this is a deeply stupid monster. @Matt: Only stupid fresh ... the way Zardoz is.